The Modeling Instruction TM Leadership Workshop trains experienced Modeling Instruction teachers to lead workshops for other teachers. The Leadership Workshop sharpens participants’ understanding of the Modeling philosophy and pedagogy as well as the features of curricula that support the Modeling philosophy. The workshop also develops participants’ skills with tools for leading adults while providing logistical tips and assistance for organizing, promoting, and running workshops, and managing ongoing support. As school districts look for science teaching practices compatible with the NGSS, demand continues to grow for high quality teacher training and curriculum materials as provided by Modeling Instruction. 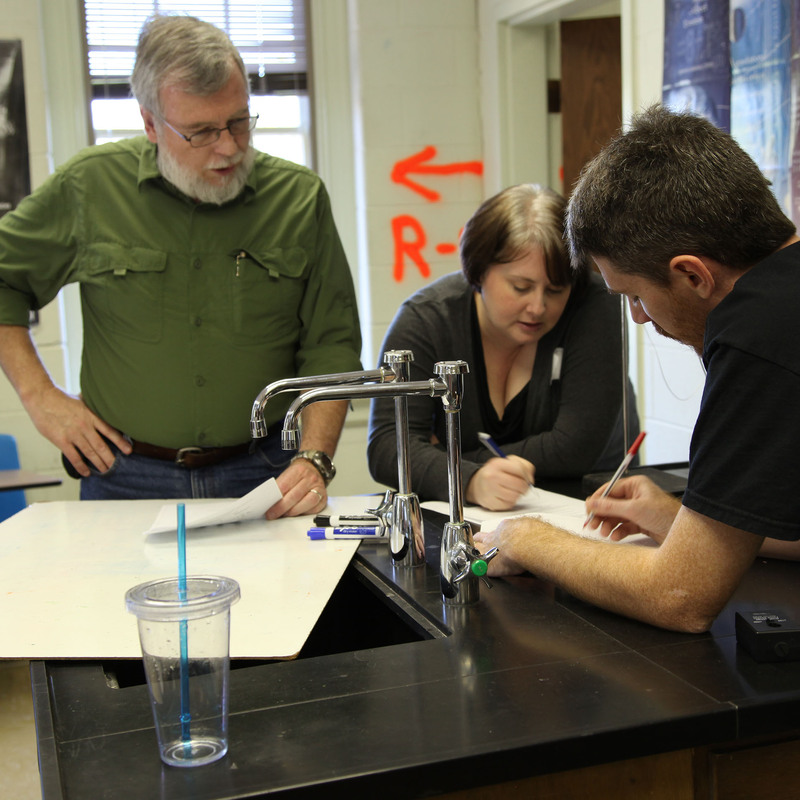 Participation in the Modeling Instruction Leadership Workshop and leading workshops not only improves skills of the teacher leader, but also helps to improve science education overall. Attendance at two 3-week Modeling Instruction Workshops, the recommendation of the leaders of those workshops, and thorough implementation of Modeling Instruction in the classroom. Colleen Megowan is a retired ASU professor of science education, and retired Executive Officer of the American Modeling Teachers Association. Her doctorate is in physics education research. Her dissertation advisor was David Hestenes, now Emeritus Professor of Physics at Arizona State University. Dr. Hestenes co-founded Modeling Instruction.